Unbleached cardboard cover with 60 sheets of spiral bound lined paper with perforations that can be recycled. 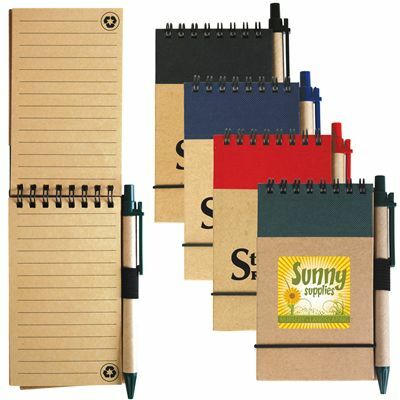 Plastic pen loop with recyclable paper pen. Recycled symbol printed on each page. Colour/s Natural/Black, Natural/Blue, Natural/Green, Natural/Red.